Ready to Create Next Level Marketing Plans? High achieving health care marketers push for better insights. And better insights come from asking better questions. 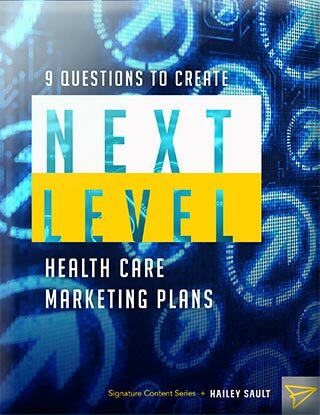 In this free guide from Hailey Sault, you’ll learn the nine questions to ask to take your health care marketing plans to the next level. This resource was written for marketers who want new insights and approaches to have great impact. If that sounds like you, download the guide and take your marketing plans to the next level. Take your health care marketing plans to the next level. Download the guide from Hailey Sault, a leading health care marketing, branding and digital firm.